A few years ago it may been odd to suggest that bitcoin would become integrated into mainstream commerce, due to a skepticism of its stability surrounding not only big business, but even customers. 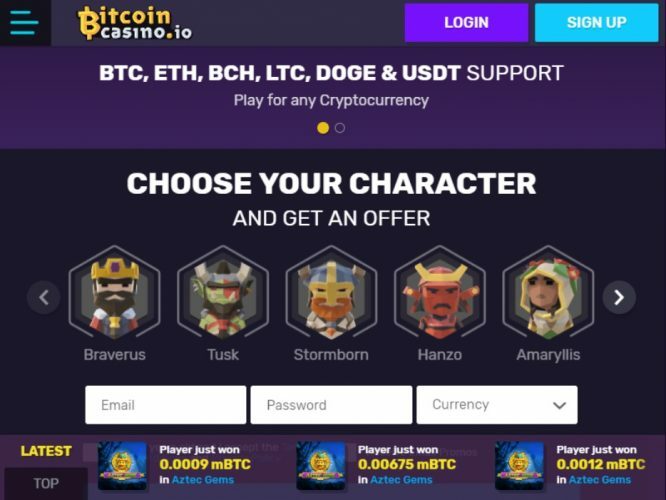 Fast forward to April 2019, and there is a new bitcoin casino in town looking to take over. There have been many casinos that accept bitcoin appearing in the previous few years, but new company Bitcoincasino.io has taken it to a new level. By exclusively using cryptocurrency, and appearing to constantly expand the amount of accepted currencies that are compatible, Bitcoincasino.io has made a global impact by using universal currency. 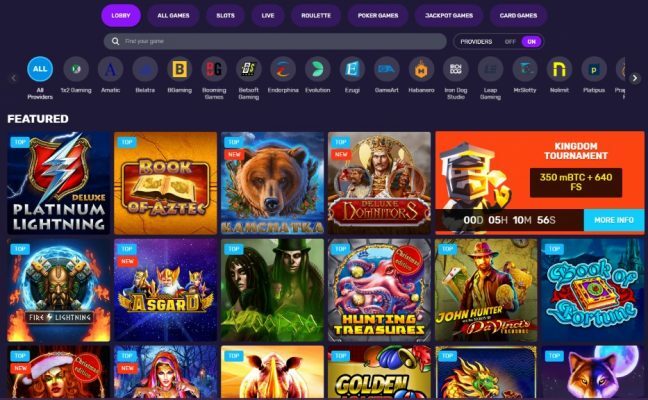 The cryptocurrency-based casino offers a wide range of games, from Belatra and 1×2 Gaming games all the way to conventional slots, roulette and card games. They look to push on with their growth by adding to their gaming catalogue to gain fans of popular gaming providers. 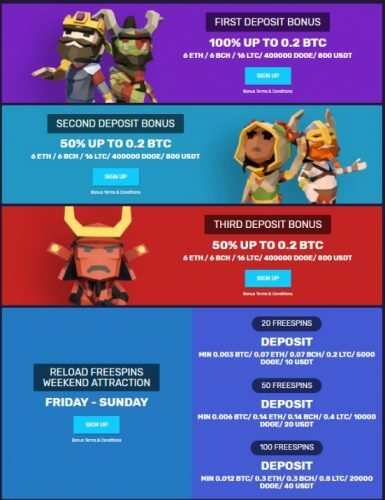 BitcoinCasino.io offers a bunch of Bonuses for New or Returning Players! Join BitcoinCasino.io today and grab an exclusive first deposit bonus of 100% up to 0.2 BTC (200mBTC). 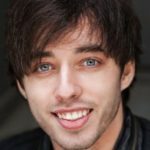 The website BitcoinCasino.io doesn’t tell the whole story, though. Recently, an abundance of different cryptocurrencies were introduced to the platform, including: Litecoin, Bitcoin Cash, Ethereum, Dogecoin, Tether & USDT. The customer is required to deposit these separately and they of course remain in separation within the account when wagered. It is as simple as signing up and pasting their address when sending the amount. Bitcoin and gambling – a match made in heaven? Last Tuesday on April 2nd, the price of Bitcoin surged, and continues to be the most talked about cryptocurrency. With proponents of Bitcoin’s future and its 3 month stint of steady prices, Bitcoincasino.io appears to want to take full advantage of this. A large part of the appeal of Bitcoin gambling is not just the potential anonymity aspect of it, but that it can hit two birds with one stone for those optimistic about the currency’s future. Depositing into a Bitcoin casino account could be used as a form of investment to benefit from any price increase in the currency, not just to play slots with. Since 2014, $4.5 Billion in Bitcoin has been wagered. This has thought to be down to privacy-related gambling, with online gambling to be illegal in many countries, as well as the the speedy transactions to fund an account, leaving it to be a fast growing market with more than enough demand from tech savvy users and bitcoin proponents.